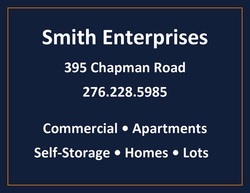 Smith Enterprises residential portfolio includes rentals (short and long-term) and single family communities. We have the ability to provide housing needs to meet each stage of your journey in life. Contact us at 276.228.5985 for additional information and availability.